People across the East Midlands who are looking forward to wrapping up on Easter Sunday and eating their Easter eggs, beware - they may just start melting. This is because some weather forecasters have predicted that parts of the UK could see temperatures as high as 20C on Easter weekend - well above the average temperature for this time of year. Could a barbecue be on the cards this Easter? You could even be swapping your Easter eggs for the barbecue and enjoying your dinner in the garden when the Christian festival arrives on April 21. However the forecast also says it is going to get very cold before it gets a lot warmer, with temperatures this weekend expected to plummet to freezing as Arctic blasts push across the UK. However, WXCharts predicts that the mercury could soar to a sizzling 20C by next Saturday as the glorious spring heat returns after the Arctic spell. Bookmakers say it could be even hotter, with odds now being slashed that Easter 2019 will break the 27.8C record set in Surrey in 2011. Ladbrokes’ Jessica Bridge said: "The weather's about to get a whole lot worse before it gets better. “However, once the Arctic blast is out of the way, it looks like it's time to get the barbecues out as the Easter weekend will be spent sizzling in the sunshine." The betting firm has even slashed odds for the hottest Easter ever to 6/4. 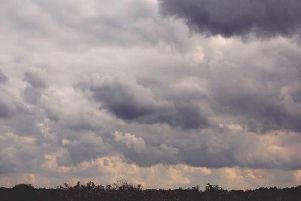 Met Office forecaster Richard Miles said: “The 30-day forecast suggests that for the latter part of April, blocked and settled conditions are most likely to dominate the weather. “These will bring a good deal of dry weather, especially across the north and northwest of the UK. “There are still likely to be some wetter interludes from time to time, these perhaps mainly affecting the south and south-west.